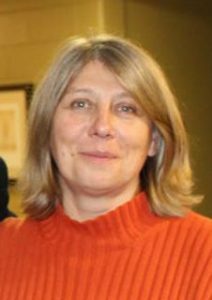 Elena Prokhorova is Associate Professor of Russian at the College of William and Mary, where she also teaches in the Film and Media Studies program. Her research focuses on identity discourses in late Soviet and post-Soviet television and cinema. She is co-author (with Alexander Prokhorov) of the monograph Film and Television Genres of the Late Soviet Era (2017). Her publications have also appeared in Slavic Review, Slavic and East European Journal, Kinokultura, Russian Journal of Communication, and in edited volumes.